Hypothyroidism is a condition in which the thyroid gland can’t produce sufficient quantities of thyroid hormone, a key regulator of the body’s metabolic processes. It’s common, especially in women, and is a potentially life-threatening illness that requires on-going medical management and care. In South Africa, hypothyroidism is one of several diseases that qualify for compulsory Prescribed Minimum Benefits (PMBs). In addition, it’s classified as a Chronic Disease List (CDL) condition. This means that medical aid schemes are required to cover chronic medication associated with the condition. PMBs are defined sets of diagnosis and treatment pairs (DTPs) associated with a particular disease. Together with healthcare providers, the South African government has developed best practice guidelines for DTPs, based on the efficacy and affordability of available treatments. All medical aid schemes in South Africa are obliged to cover the cost of these PMBs in full, regardless of members’ benefit levels, provided a designated doctor or specialist has diagnosed the disease according to the corresponding ICD-10 code or codes. Code 904K - Diagnosis: hypothyroidism with life-threatening complications. Treatment: medical management, surgery. Hypothyroidism PMBs: What Do Medical Aid Schemes Cover? 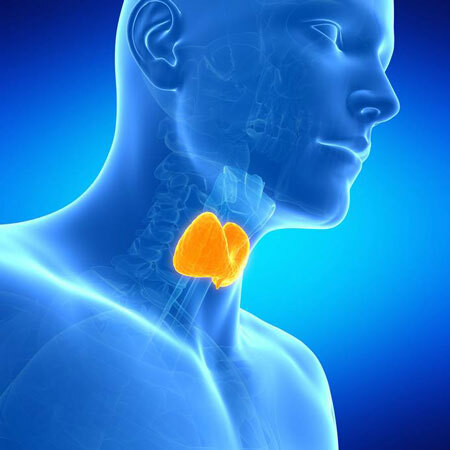 Hypothyroidism is diagnosed by blood tests that determine the levels of thyroid-stimulating hormone (TSH) and thyroxine, which is the main hormone secreted by the thyroid, in the blood. Once a diagnosis has been made, oral medication comprising synthetic thyroid hormone is usually prescribed. The correct dosage of the synthetic hormone can vary as natural hormone levels fluctuate. As a result, periodic blood tests are required for monitoring purposes. Annual or bi-annual tests, are recommended and medical aid schemes typically cover the cost of some or all of these tests. Should any other follow-up tests be required, costs are covered by the day-to-day benefits commensurate with a particular medical aid plan. As an example, Discovery Health’s top-tier medical aid products, the Executive, Comprehensive and Classic Priority plans, offer unlimited cover for blood tests at partner clinics or pharmacies from their Insured Network benefit. On lower-cost plans, such as the Saver Series, blood tests are typically paid for from available funds in members’ day-to-day savings accounts. Liberty Medical Scheme limits the amount of cover provided for additional blood tests, over and above those paid for in accordance with PMBs. Protocols and subject to a medicine formulary and referral by a network doctor where applicable. Because hyperthyroidism is defined as a CDL condition, medical aids pay in full for branded or generic medication that’s included on a relevant medicine list or formulary. High-cost plans may also contribute a portion of the costs associated with out-of-formulary medications, up to a specified amount known as the Chronic Drug Amount (CDA) which might need motivation and valid reasons. If you or a family member has been diagnosed with hypothyroidism, chat to one of our consultants today about the most affordable and effective medical aid cover for your condition.